Alan started training with Kenny Bell’s shotokan karate club in Thurso, Scotland, in 1987. When Kenny and his wife moved to London shortly after, responsibility for running the club passed to Charlie McIntosh, and later, John Hilton. Alan trained occasionally with Michael (Spike) Tait in the club in nearby Wick. Both clubs continue to be affiliated to the UK Traditional Karate Federation, headed by Sensei Kawasoe (8th Dan, former technical director of the Japan Karate Association). Courses and gradings run by either Sensei Kawasoe, or Sensei Kenny Taylor (6th Dan) the chief instructor with the Scottish Traditional Karate Federation, were regularly attended. When Alan went to Edinburgh to study in 1994 he joined the University club run by Nick Shaw and trained for one year. He took three years out, then got back into training and attained his first Dan black belt (shodan) in 2001 in Glasgow, followed by his second Dan black belt (nidan) in Barrhead in 2004. Alan waved bye-bye to Scotland in 2006 and moved to Wantage, where he continues to teach and train with Sensei Dave Paine’s club. He got his third Dan black belt (sandan) in 2014 in Mere, Wiltshire. In addition to the above instructors, over the years Alan has been fortunate to train with The following senior Japanese instructors: Naito, Shirai, Ohta, Watanabe, Akita; in addition to Senseis Pete Manning, John Euden, Paul Mitchell, Aidan Trimble, Bob Rhodes, and Italo Castellaro. Alan has been DBS checked and is a qualified first aider. Baz started his training at Wantage Karate Club (association of Shotokan Karate Union of Great Britain SKUGB) in 1993 under the instruction of Sensei Mark Ord. In 1995 he also started training under Sensei Dave Lowe in the style of Goju-Ryu, and gained his 3rd Kyu in 1996. He made the decision to stop training with Sensei Dave Lowe so he could concentrate on his training within the Shotokan style of Karate. In 1997 Baz gained his Shodan at Wantage Karate Club under the instruction of Sensei Martin Carter. Martin resigned in 1999 to concentrate and compete in the Full Contact Circuit and Sensei Paul Edwards took over the running of the club. The club decided to resign from the SKUGB association shortly after Paul took over, and is now going from strength to strength within the Traditional Shotokan Karate Association (TSKA). Baz gained his Nidan in 2003 in front of the TSKA panel. Baz has trained with a number of martial artists including: Sensei Terry O’Neil, 7th Dan, Renshi Paul Coleman, 6th Dan, Vince Morris, 7th Dan, Rick Clarke, 8th Dan, Shihan Hirokazu Kanazawa, 9th Dan and many others. The club has a great mix of people which makes a great team spirit and all capabilities are welcome. Baz is already training his youngest son and has high hopes for his future in Karate! Baz helps coach at the club when needed and enjoys his training immensely. Due to work shifts and family commitments he only manages to train once a week at present, but hopes to train more in the future so he can progress to his next Dan grade. Barry has been DBS checked policies and is a qualified first aider. It’s never too late to start karate. I did not start until I was 43 years old, and there is no better club than Wantage. Despite my nickname of ‘Chopper Pete’, I like all the senior dans are happy to offer help and advice and Wantage could not be a more welcoming club. 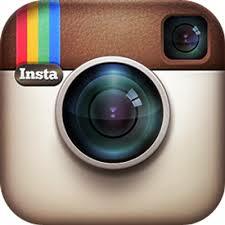 I started karate in 1994 under sensei Mark Ord of the Association of Shotokan Karate Union of Great Britain. When Mark left in 1995 I joined Martin Carter of the Shotokan Karate Union and graded up to 2nd kyu (brown belt). 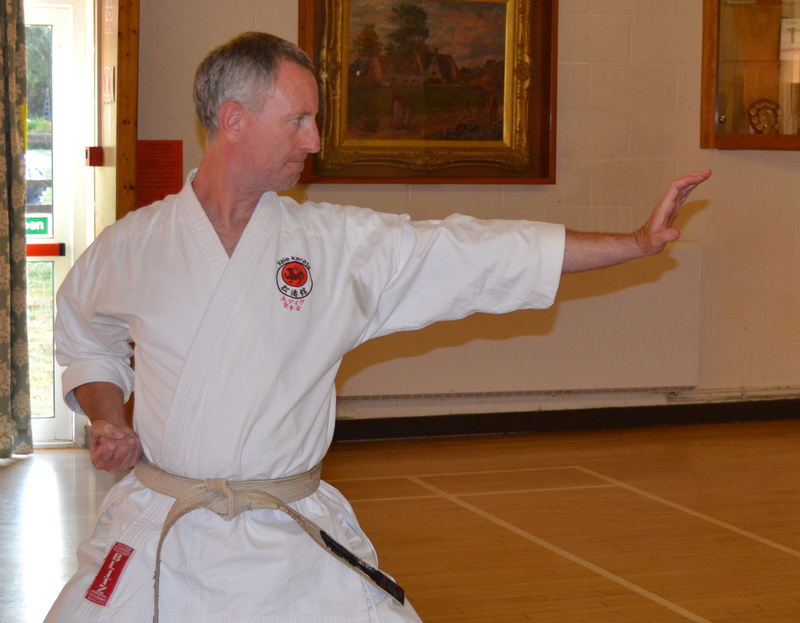 When Martin left in 1999 sensei Paul Edwards took over and changed to the Traditional Shotokan Karate Association. Under Paul’s guidance I went on to pass 1st kyu and 1st dan shodan (black belt). I have also trained under senseis Terry O’Neil and Vince Morris, who are both 7th dans. 2004 was a personal highlight for me as this was when I passed my 1st dan (shodan). In the same year I also fought for the club in Ayre, Scotland, winning Bronze and silver in Kumite. To top the year off I was awarded Karateka of the Year! Training under Paul, Dave and Baz just does not get any better. You only have to see the number of Karateka training each session to witness what a popular activity this is. Pete has been DBS checked. Sanjay started training with Sensei Tony Conroy (8th Dan) at the Leicester Karate Club at the age of 11 reaching 1st kyu. Upon going to university he continued to train in Shotokan karate at Hatfield Polytechnic Karate Club under several instructors. After graduating, Sanjay tried his hand at Wu Shu Kwan Chinese Kick Boxing gaining a 6 grade blue belt. He has also trained with Sensei Roger Stephen 6 dan (ret.) 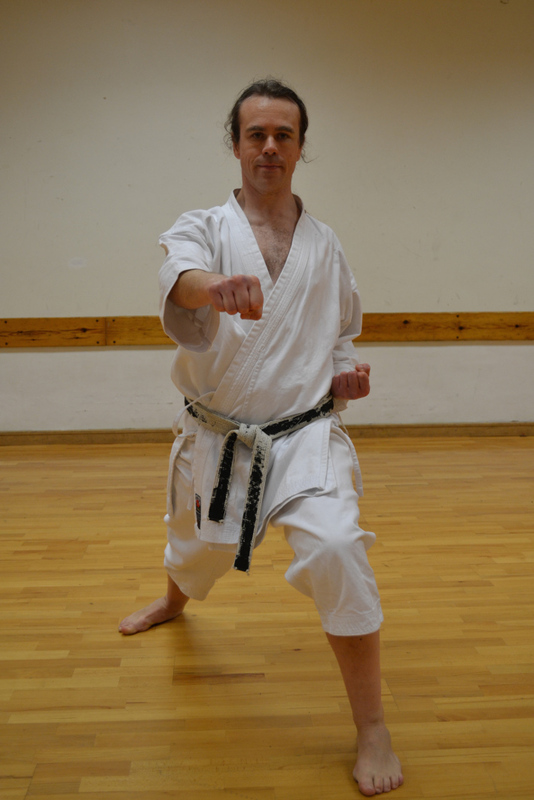 SESKA at the Worthing Shotokan Karate Club… a profound experience in his karate development. 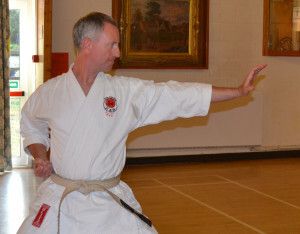 After a long absence from karate, he finally settled in Wantage and decided to take up the martial art again under Sensei Paul Edwards (4th Dan), later Sensei Dave Paine (4th Dan), at the Wantage Shotokan Karate Club. Here, he finally got his shodan with Sensei Pete Manning (7th Dan) under the TSKA! Over the years Sanjay has trained with the following senior instructors: Master Enoeda, Senseis Pete Manning, John Euden, Paul Mitchell, Bob Rhodes, John Parnell, Bob Poynton, Frank Brennen, Steve Cattle, Terry O’Neil, Andy Sherry, Gary Roberts, and Italo Castellaro. 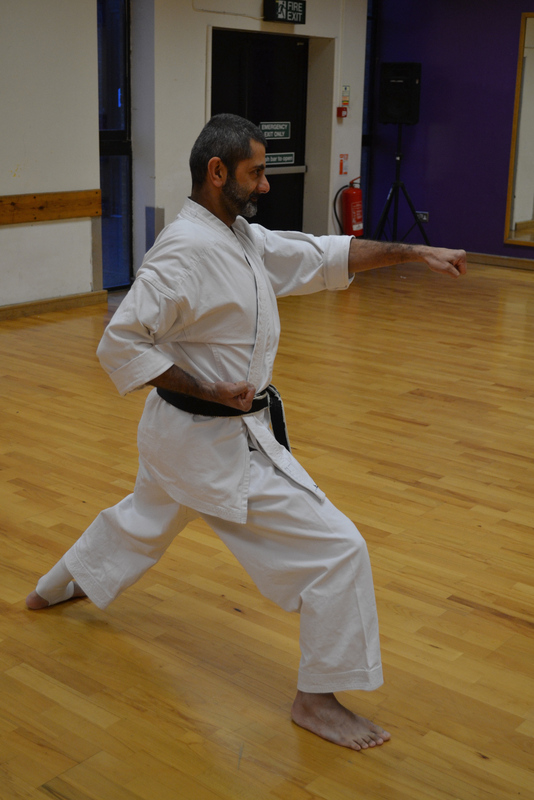 In December 2014, Sanjay gained a nidan again under Sensei Pete Manning (7th Dan) and now continues to study the finer points karate-do. Sanjay is now based overseas but comes back and trains regularly with the club. Dave Paine started training in Wado Ryu Karate around 1980 at his home in West Wales. 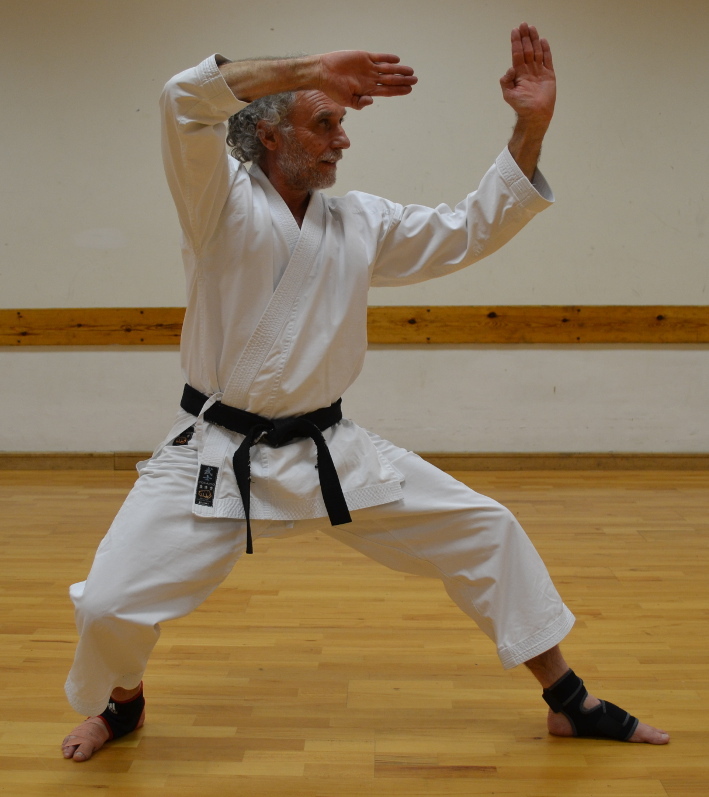 When he moved to Winchester after his degree he continued his karate training by joining the KUGB Chandlers Ford Shotokan Karate Club in 1990 under the then chief instructor, Robin Lomax (now 4th dan). He was awarded shodan (first level black belt) in 1993 and, shortly after the departure of Robin, became chief instructor. 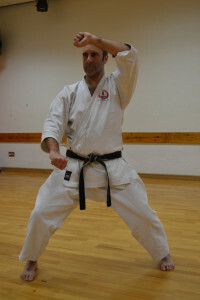 Dave moved to Wantage in 2004 and immediately joined the Wantage Karate Club. Dave currently holds the grade of godan (5th dan). He has now been practising karate for over 35 years and teaching adults and children for over 25. He has an enhanced DBS certificate and is a senior instructor and grading examiner. During Dave’s karate training, he has trained under, among others, Senseis Keinosuke Enoeda, Andy Sherry, Aidan Trimble, Terry O’Neill, Bob Rhodes, Frank Brennan, Italo Castellaro, Mario Spillare, Richard Amos, and Iain Abernethy. Dave has been DBS checked, is a qualified first aider and holds a NAKMAS Equality Awareness Accreditation.